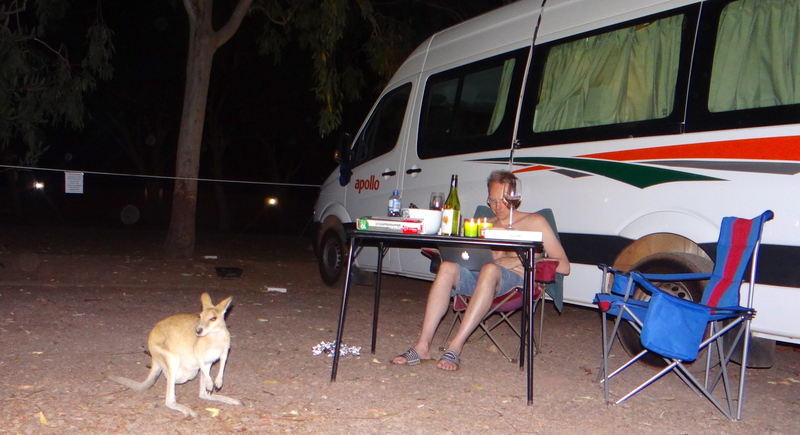 Thanks to the wonders of scheduled posts, new recipes are posted on a regular basis while I am actually travelling through the Australian Outback in a camper van with very limited internet access and an even more limited kitchen. Even though it’s even more sparsely populated around here than in the South-Western USA that we were touring last year, the supermarkets here are well-stocked and so we’ve not been lacking in terms of nice food. 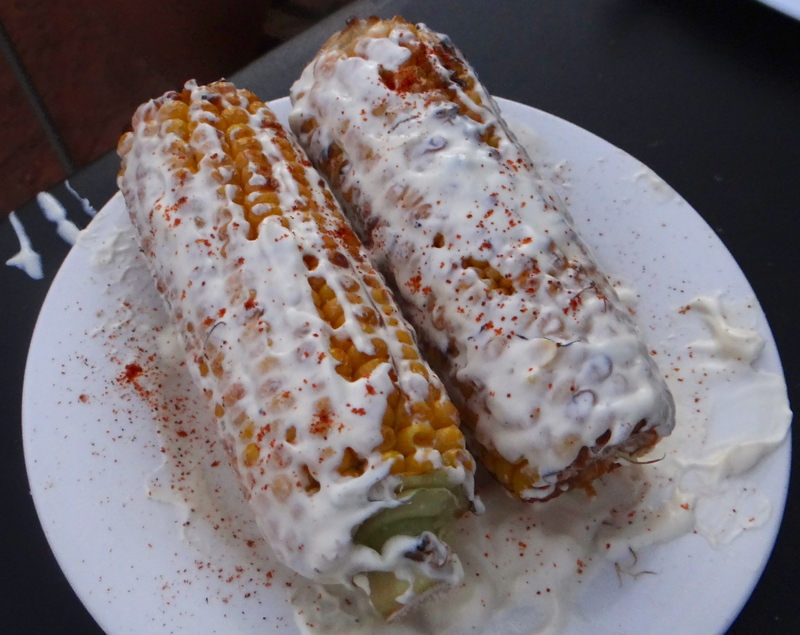 These are the ingredients from the very nice corn I prepared, using one of Richard McGary’s recipes. 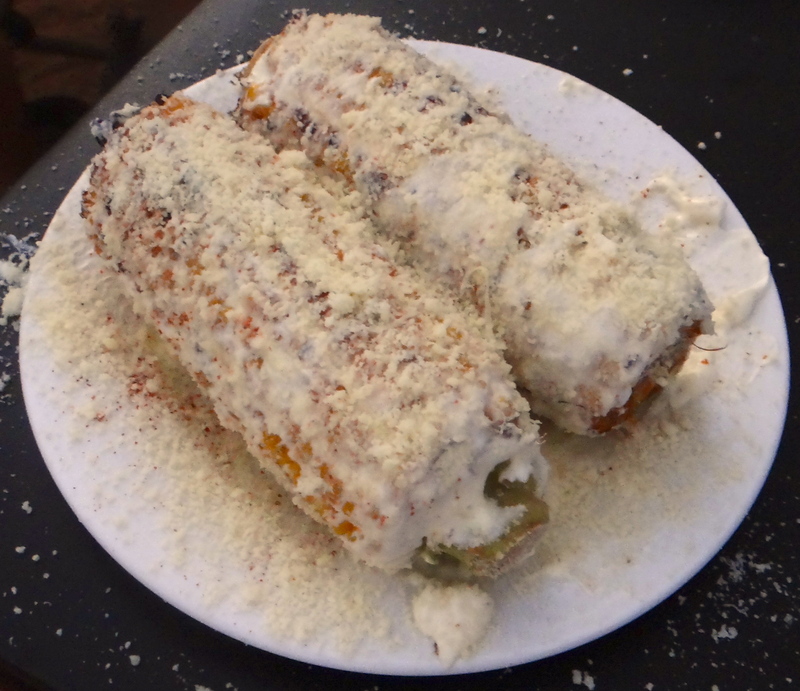 You will need corn, salt, olive oil, chilli powder, sour cream (or mayo), parmesan cheese (or Mexican cheese) and lime juice. 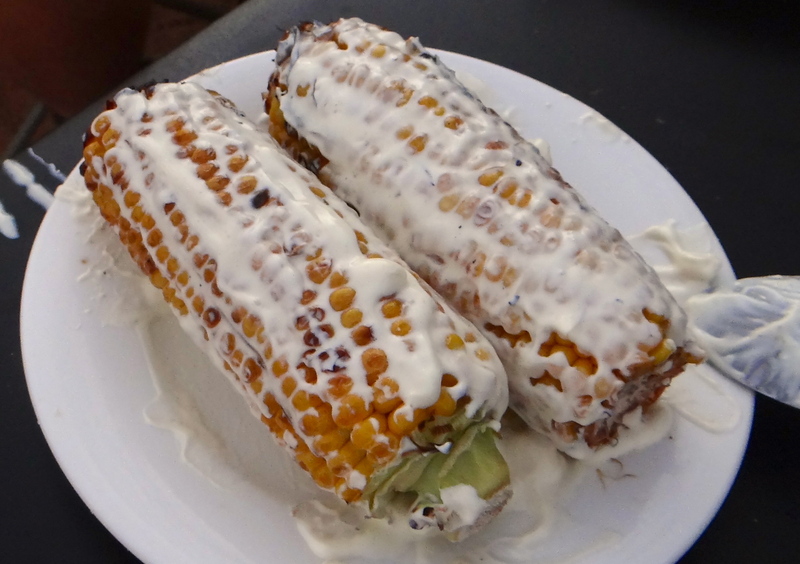 Rub the corn with olive oil and season with salt. 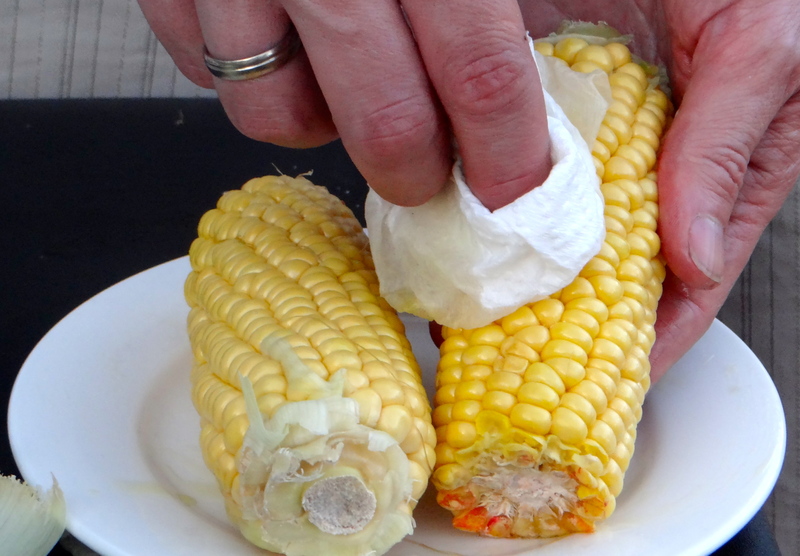 Richard uses the husk to hold the corn, but the corn here didn’t have enough husk to use that way. 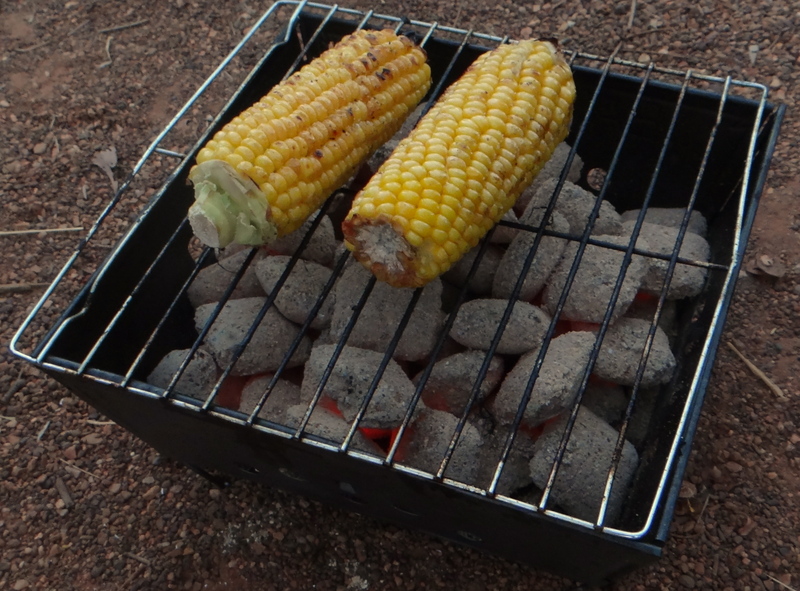 Grill the corn on a charcoal fire. Slather it with sour cream. Sprinkle with lime juice and cheese. I forgot about the lime juice and it was already great. 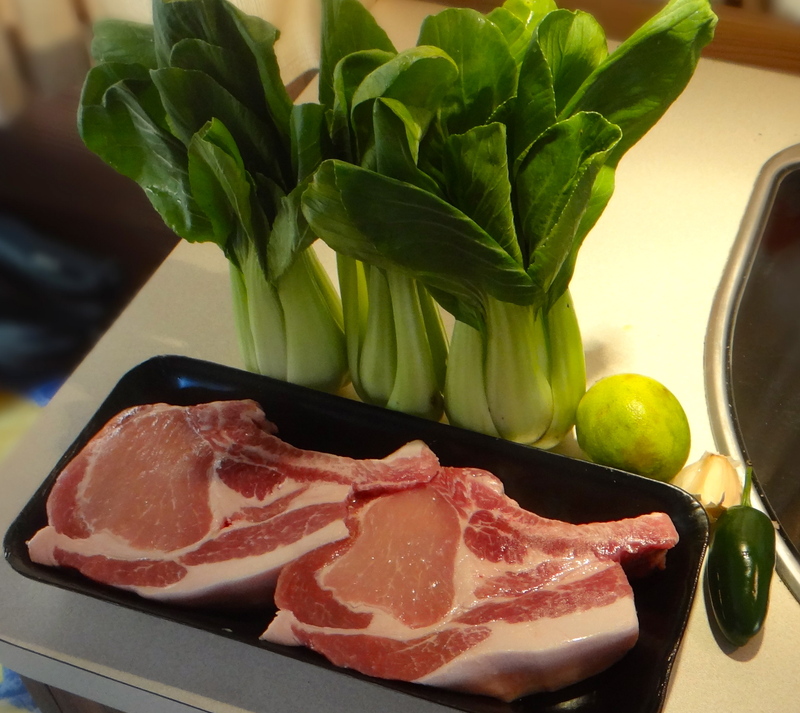 Something else I prepared was pork chops and baby bok choy with jalapeno and garlic. I seasoned he pork chops with salt. 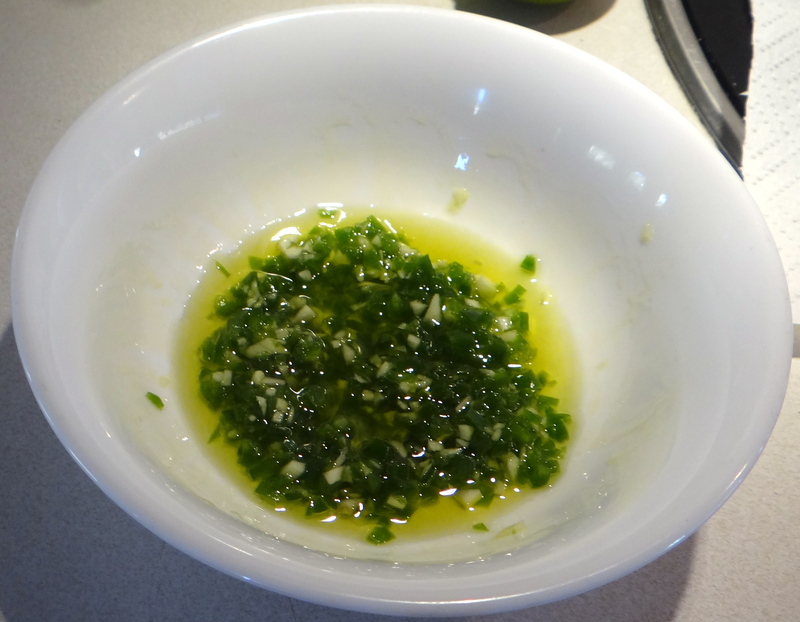 I finely chopped a jalapeno and a clove of garlic, and mixed it with some olive oil. I marinated the pork chops in this mixture for a couple of hours. 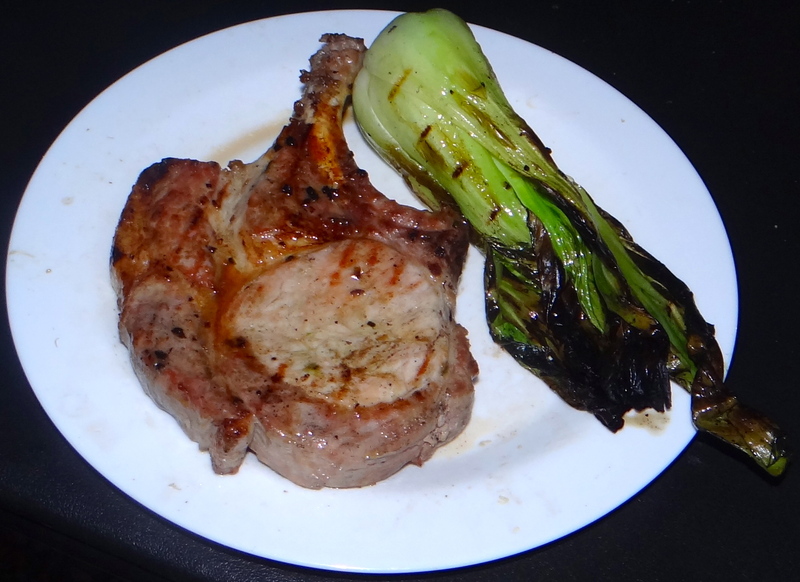 We grilled the pork chops on a charcoal fire. We grilled them until they were nicely golden. 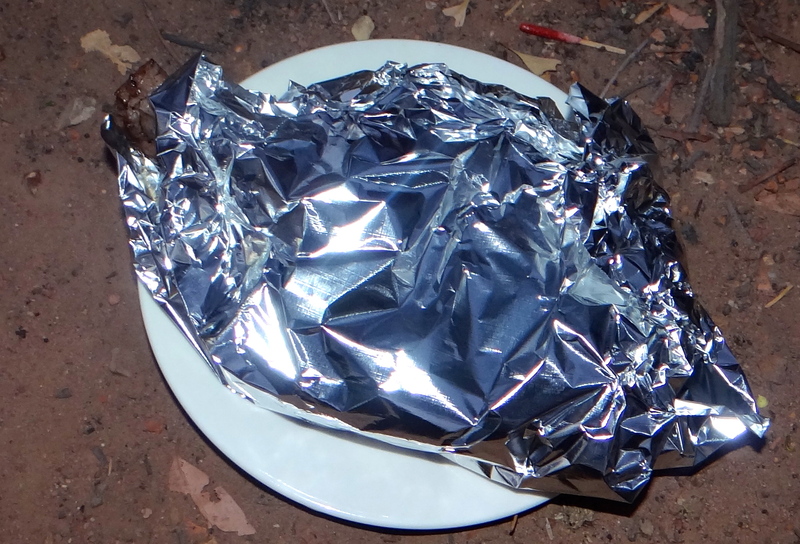 Then we wrapped them in aluminum foil to allow the pork chops to rest. 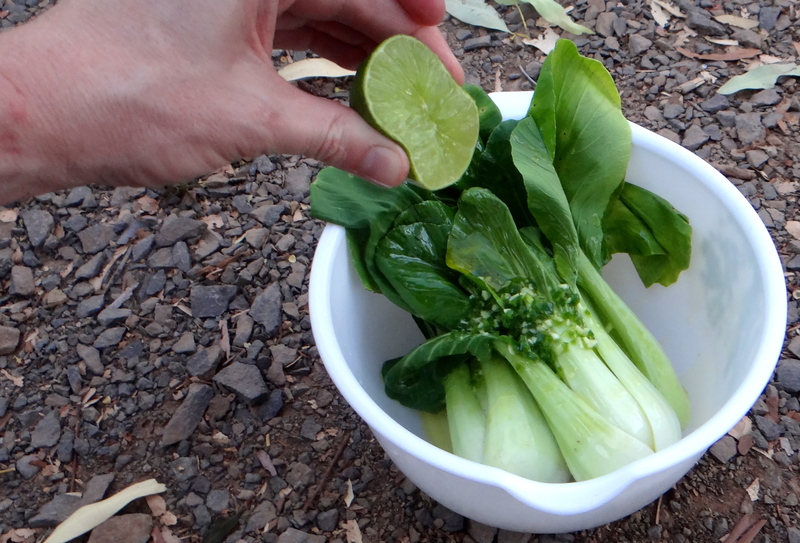 Meanwhile, we combined the baby bok choy with jalapeno, garlic, olive oil, and lime juice. This was inspired by another of Richard McGary’s recipes. 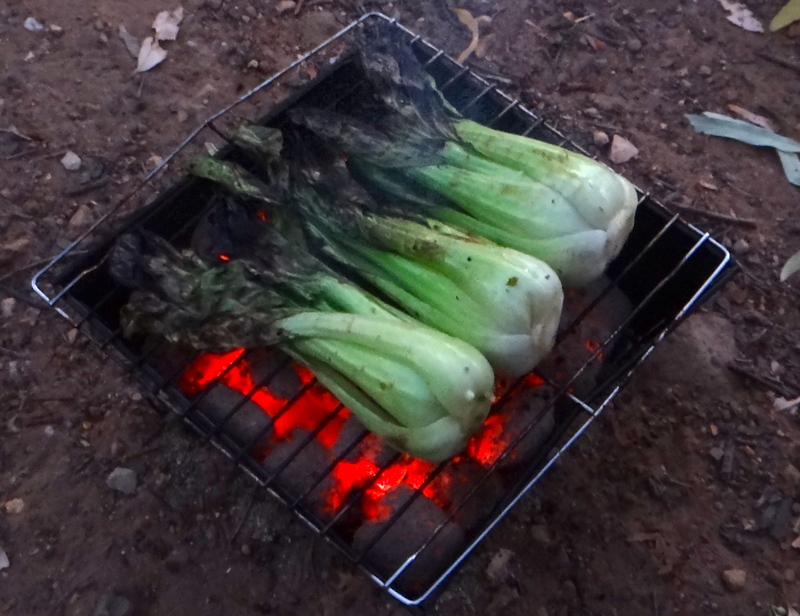 The bok choy was grilled as well. This made for a nice meal. 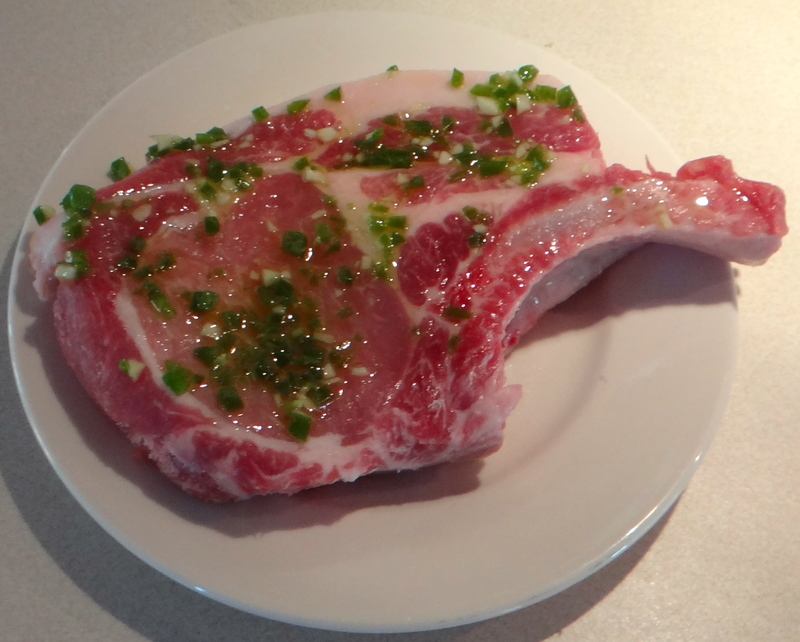 The pork chop combined very well with the jalapeno and the garlic. Now that’s the way to eat while camping! Richard will turn you into a Texan if you don’t watch out! Glad you’re having a fun trip, Stefan, and enjoyed the recipes. We thought they were fun and quite tasty. They are also perfect “camping” food. Love the pork chop. It looks very nicely done and we loved seeing the wallaby. There are a couple of wallabies hopping around again now as I’m looking at the comments the following morning. You are in the outback!? Gosh, and you are cooking lol. Enjoy your time here in Australia, Stefan! Oh, try some native plants and fruits. They can add many extra flavours to dishes. Thanks! I’m writing this from Katherine NT. 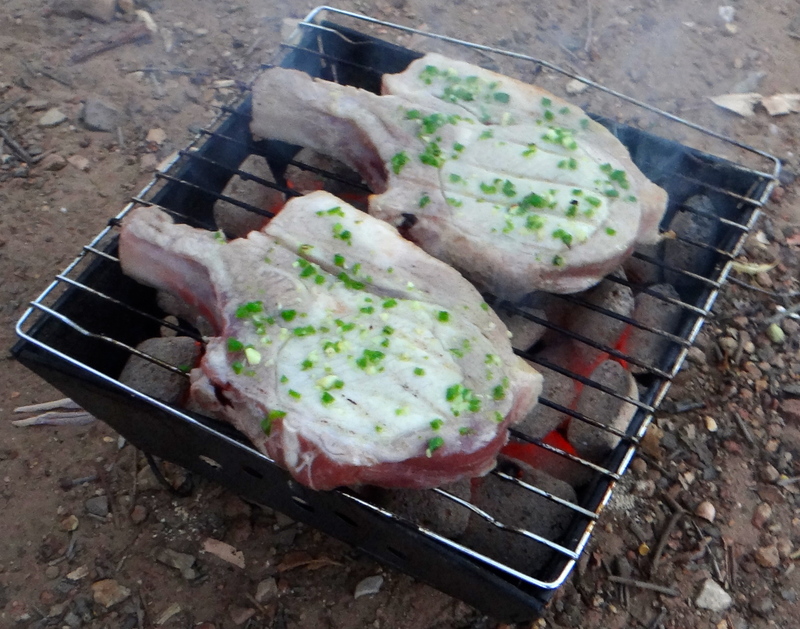 You are on a great adventure it seems…Amazing what you can do on that small barbecue….and I am sure the kitchen of a camping car must be quite small…great recipe! Thanks! The gas stove inside is terrible, and so are the pots and pans. The small barbecue is fine for two. 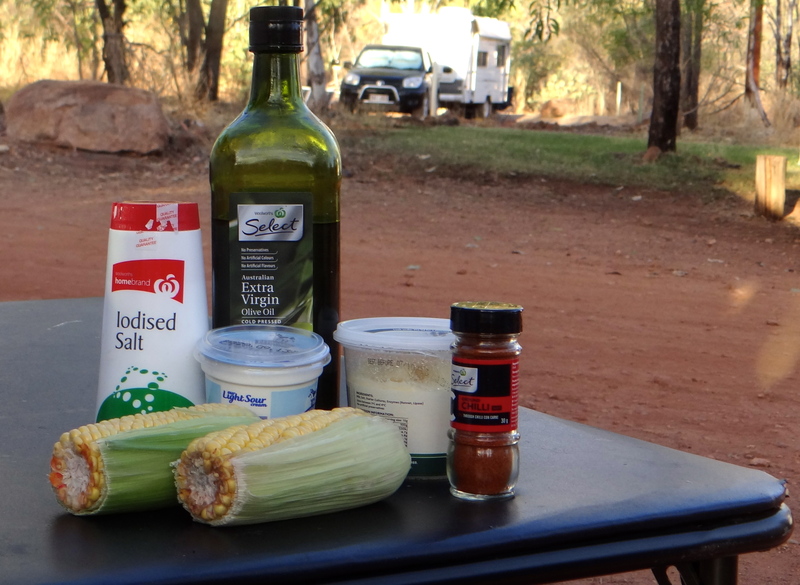 No need to leave healthy tasty food out if the equation, even when camping. Your meal looks delicious. We made Turkish pizza in the camp oven last night. It was a bit of a gamble but a huge success. Hope you are enjoying the quirks of outback Australia, and the unique natural environment. Not very fond of the mossies, but other than that we are having a blast! And have been making good use of your travel tips, thanks again! This is the way to camp, Stefan! There may be a number of things one must go without but good food needn’t be one of them. Enjoy your holiday and safe travels. I look forward to reading all about it. Completely agree! I am surprised that even though it’s (much) more sparsely populated around here than it was last year in the SW USA, the availability of produce is pretty good. They even have butchers around here, so no need to resort to supermarket meat. Looks like you’re have a great time … and I’m sure this trip will set those grey cells of yours going even more, with new and fusion recipes (though I don’t think I’d like to taste kanga or ostrich). Loved the chops ! Those wallabies might make a nice stew. Strangely enough, butchers here do not sell kangaroo meat. 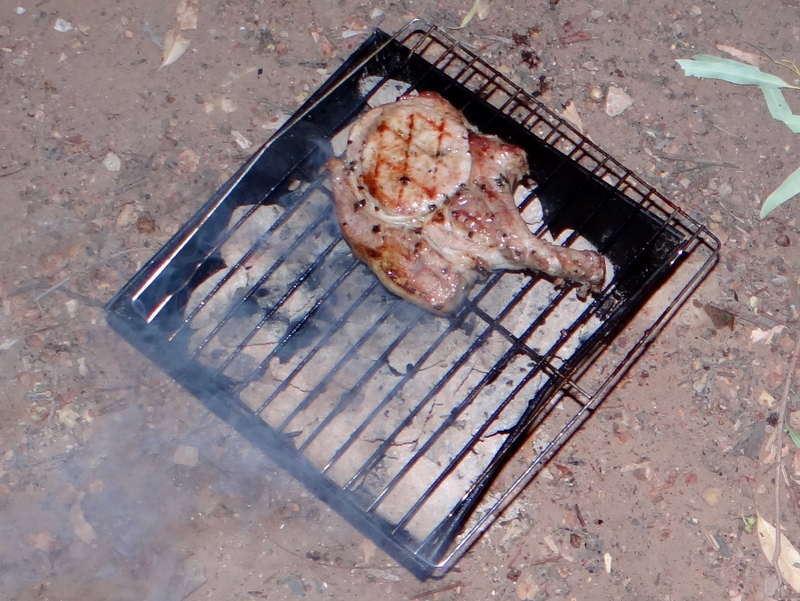 I thought it would be appropriate to prepare some roo fillet steak on the barbie, but have not found the meat yet. The wallabies are too adorable (and too quick) to bypass the butcher. Stefan, You impress me from your kitchen, on the waters and now the outbacks! I can smell the grilled corn, stakes…..
Hi Keith, unfortunately we’re not going to be close as we are traversing the Stuart Hwy. I think Stefan is just skilled with photoshop. Just kidding! Have a great time, keep up the great posts.